I know I have been talking about dog enrichment activities quite a lot for the last little while, but I feel it’s an important topic worth investing some time in! In my quest to make life more interesting for the BrindleBerry Bunch, I am always on the lookout for good quality food dispensing toys. One of the newest toys to make it into our lineup is the P.L.A.Y. Wobble Ball. What is the P.L.A.Y. Wobble Ball? The P.L.A.Y. 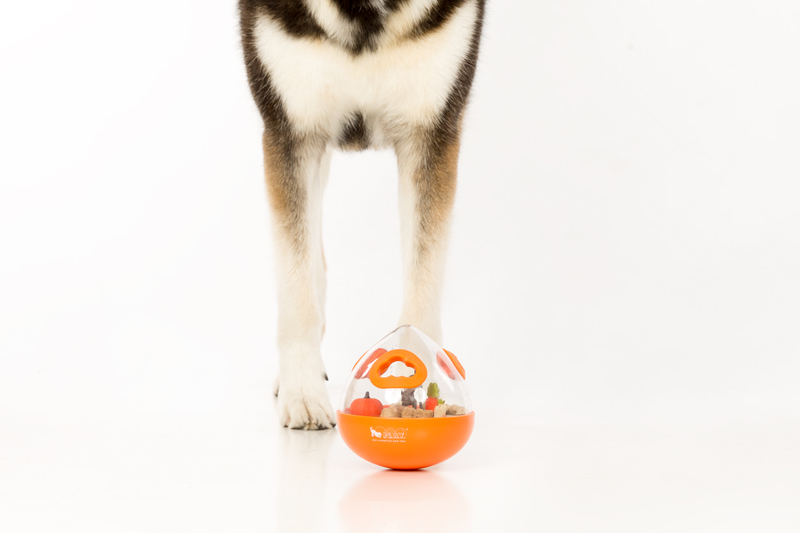 Wobble Ball is a ball that when rolled and tossed around, dispenses food rewards to your dogs. It’s designed to encourage your dog to use its natural senses of smell, sound, touch, and sight. The biggest advantage I see to using a toy like this to feed your dog is to slow them down at mealtime. 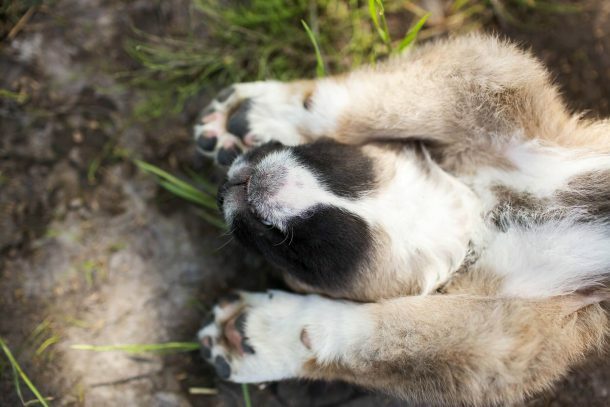 Many dogs eat so fast that they vomit, or choke on their food. Eating quickly can also cause gas, so slowing them down is always a good thing! The Wobble Ball will work perfectly for this purpose. You can take it apart to add the food or treats. It’s 100% dishwasher safe and therefor easy to clean. It comes in three colours: orange, green and blue. It has multiple openings for varied levels of difficulty. It’s adorable. With an award winning design this toy is super cute. Made of strong and durable polycarbonate and ABS thermoplastic. I purchased 3 Wobble Balls – one for each dog – one in each colour – and all three dogs took to the toy and immediately started playing with them. I put about a half cup of food/treats into each ball, and they had them emptied quite quickly – in under ten minutes. 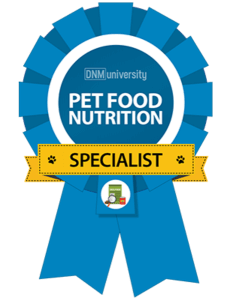 I used Nature’s Variety’s Raw Boost Mixers for my initial testing, but I have since tried with baked kibble, and a variety of freeze dried treats including Orijen’s freeze dried treats. All worked wonderfully in the toy. You can fill the ball either by dropping the food and treats in the dispensing holes, or you can unscrew the top off and add them more quickly. I would suggest varying the size of the treats so that it’s more challenging for your pup. 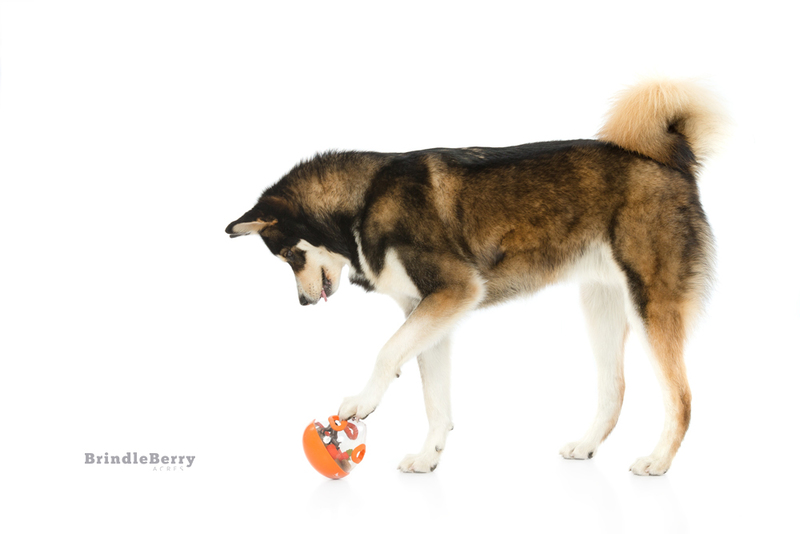 You may want to start out with smaller treats the first time you use it so that your dog can figure out how it works more quickly. 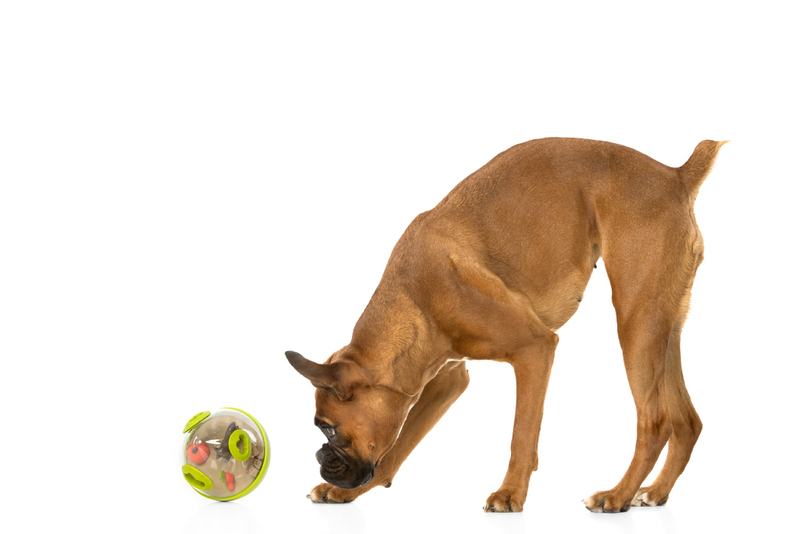 One of the biggest downfalls for the Wobble Ball is the size would not be very suitable for a smaller breed dog, and currently there is only one size available for medium to large dogs. More sizes please! I would also suggest only having these toys available when they have treats inside them to keep them busy, or they might, as one of my dogs did, unwind the ball and chew the figurines inside. I see a slight risk of a smaller dog getting their jaw caught in the dispensing holes if left unattended, or allowed to chew on the toy. (Which to be fair, they warn against on their website.) It is also because of these reasons, I wouldn’t leave this toy with my dogs when I leave the house. Also to be fair, I wouldn’t leave my dogs alone with very many toys. Also, from a retailer standpoint, I really don’t like the packaging. The toy can be hard to display and the plastic wrap often punctures. But these issues won’t concern pet parents, so no loss of pointage for this small, niggly issue. If you are in Calgary, you can purchase the P.L.A.Y. Wobble Ball at my store, the Copperfield Tail Blazers, or on the P.L.A.Y. website: www.petplay.com. Brands – please contact for purchase/usage of photography or copy.